It’s easy to forget vaccinations aren’t just for children. Since immunity can wane, though, everyone should be tracking their vaccines. If you’re over 50 and can’t remember the last time you received any, you’re probably due for several. Not only have old ones likely worn off, but you may also need some new vaccines because of your age. Here are just a few that elderly care providers encourage all seniors to get. 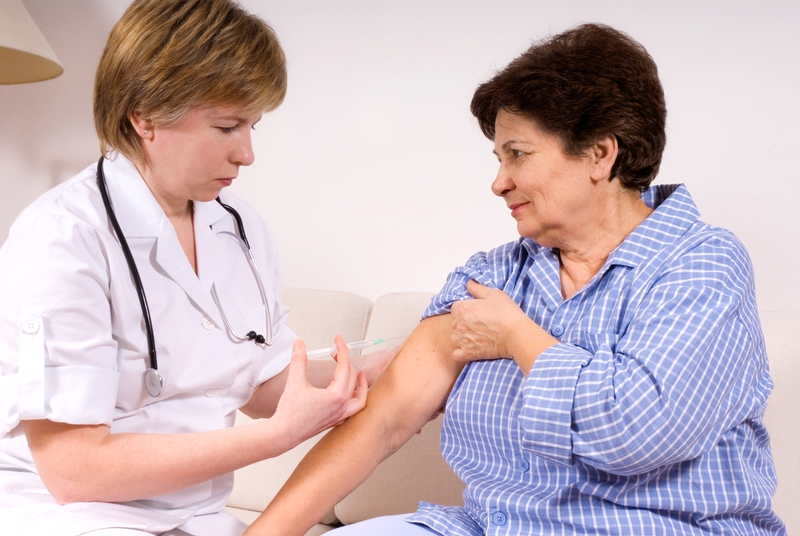 Providers who work with seniors typically encourage patients over 65 to get the pneumococcal vaccine, which prevents pneumonia caused by the pneumococcus bacteria. This immunization may also be recommended to those as young as 50 if they smoke or have certain health problems that increase the risk of developing pneumonia. If you’ve ever had chickenpox, you’re at risk for herpes zoster, or what’s more commonly known as “shingles.” Chickenpox and shingles are caused by the same virus but typically occur at two different stages of life. Shingles is especially common in those over the age of 60, and it can cause extremely painful complications that linger. Since the measles, mumps, and rubella vaccine was not developed until 1957, most adults over 60 have not received it. Seniors with ailing health are especially vulnerable to complications if they contract one of these diseases, so the CDC recommends that all those who are unsure of their status receive the vaccine. If you or an aging loved one is due for immunizations, turn to Mille Lacs Health System. Located in Onamia, MN, this full-service hospital provides comprehensive senior care in state-of-the-art facilities. They also offer surgical services, outpatient therapy, and everything in between. Whether you need to see a chiropractor or learn about managing diabetes, they can help. To explore all the services they provide, visit their website or call (320) 532-3154 to discuss your family’s elderly care needs today.